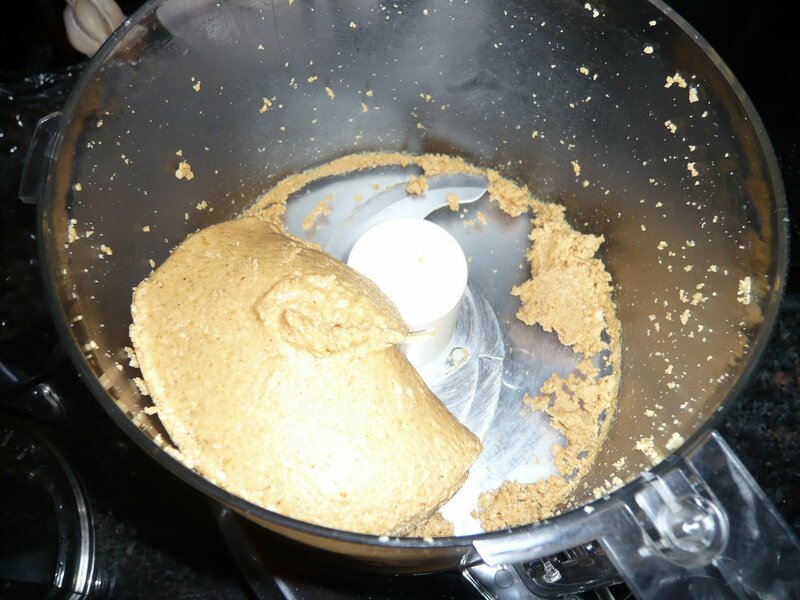 Making peanut butter – somewhat successful. 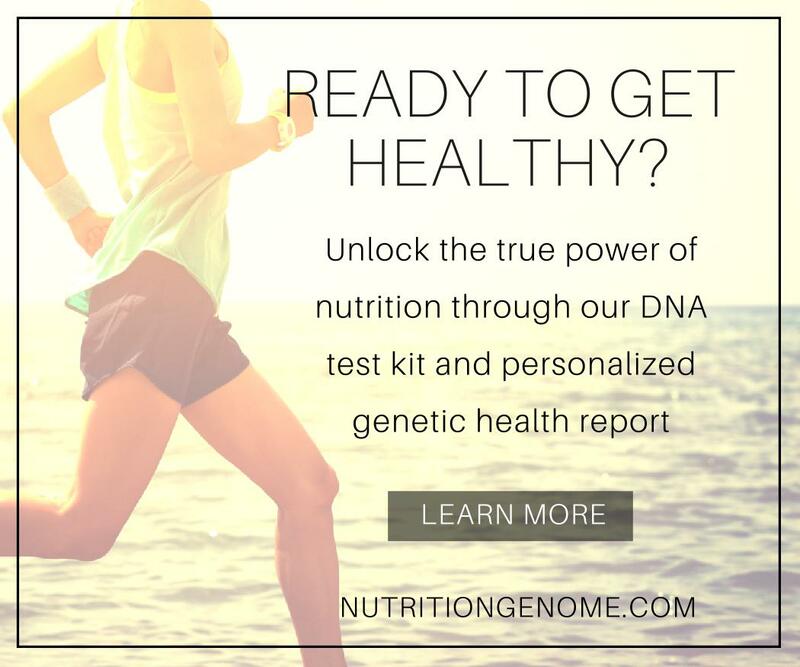 Take that naturally nutty – for not sending me any free peanut butter and making me buy 12 jars of it as a crazy pregnant lady! I added in flaxseed to it and it is dry but good! Just nuts and flaxseed in the food processor for a bit. So now I’ll eat this, as long as it is cheaper than buying it at the store! We’ll have to see! Where to buy bulk nuts… hmm. My 12 mile run – I kept putting this one off! Was going to go Sat morning and bailed – way too windy. Then bailed again for this morning! I was staying with my mom while Bill and my dad went to see Villanova play in Detroit and the thought of driving out to VF to run and add in the extra time and getting up early, I wasn’t into it! So I ended up trudging through 2 hours around my parents hilly neighborhood. Good practice for Boston, but missing running with partners and buds and getting through this one alone – no mile markers or water stops. The good thing was that I had tons of my mom’s easter bread (an annual tradition) in my stomach for carbs, and I will for the next 2 weeks while I carbo load! The Head Nut (http://www.theheadnut.com/) in Ardmore. It’s like you died and went to bulk nuts heaven. 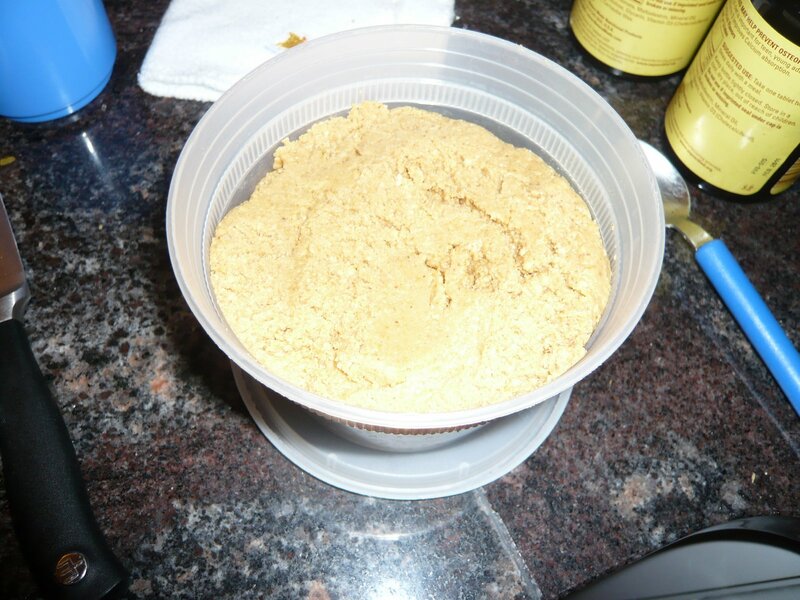 I made almond butter a couple weeks ago. I still haven’t tweaked it. It’s not as smooth as I’d like. If you come up with a solution for softer nut butter, let me know. Nice work on the peanut butter! 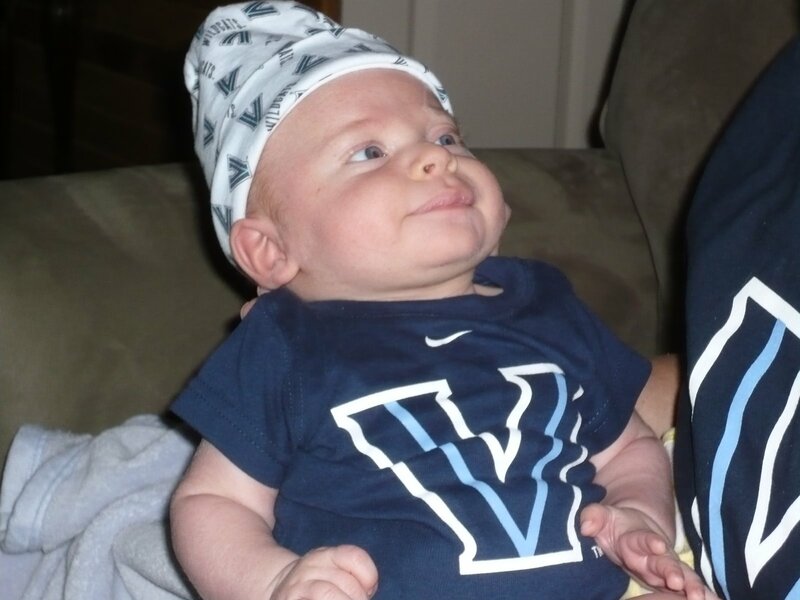 Too bad about Villanova losing – I was cheering for them along with Nicholas. I was wondering if it would be cheaper to make my own peanut butter. Adding flax is a great idea. I really want to make my own peanut butter. Hmm, you make it look so easy. Big East – yeah!! :o)Bulk nuts – have you tried Whole Foods? Most locations usually have a bulk buying section with flour, nuts etc.The wind is the worst, especially when it’s towards the end of a run – you feel like you have to expend ten times as much energy just getting through it! ah nothing like some homemade bread for a little carbo boost! !I still think I’m going to stick with buying PB, I’m lazy.